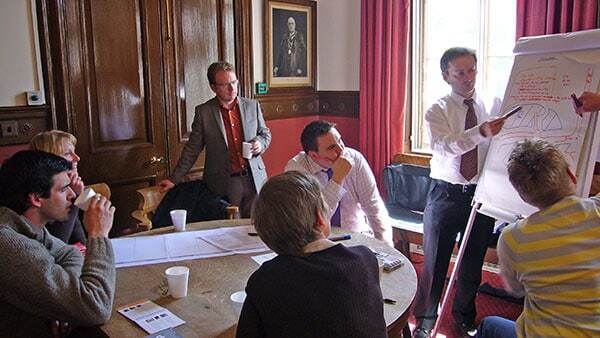 Willie Miller is a member of a number of teams chosen by the Improvement Service to deliver Design Awareness Training to Scottish local authorities. As part of the team led by Drew Mackie, we delivered a well attended two day introduction to urban design to an enthusiastic and well informed group of planners and roads engineers from Scottish Borders Council. The team also included Matt Lally from the Matrix Partnership. This was an enjoyable couple of days spent with a very interested group of officers who already have a strong grasp of urban design principles. Much of the discussion focused on the issues associated with trying to fit new development into the beautiful Borders landscape. We subsequently undertook a similar training exercise for the staff and Councillors of Western Isles Council – Comhairle nan Eilean Siar – in Stornoway.